Walk, jog, run with the Stryders every Saturday throughout the year. Coffee, donuts and conversation follows. We usually meet at the warming hut. The alternative location is the Spa Little Theater parking lot. Meet at R. S. Taylor & Sons Taproom in Congress Plaza at 5:45-5:55 pm. Runs depart promptly at 6:00 pm, so you'll want to arrive early to park, use the facilities if necessary, and gear up with vest and headlamp. Everyone must wear some sort of reflective clothing, and headlamps or handheld running flashlights are strongly recommended. We run up Broadway to Skidmore (roughly 3 miles roundtrip), with the option to add on the Skidmore loop (roughly 4.3-4.5 miles roundtrip). Extra loops are always an option. Going up Broadway sidewalks, please run no more than two abreast. Skidmore loop: single file, on the left against traffic, unless you are running on the trail that goes alongside the road. Every year the campus police have to talk to us about bunching, which creates a hazard for the runners and the drivers--remember that some of these drivers are still in their teens and they may be texting in the dark. New Stryder members: please announce yourselves before the run so we can get to know you, and welcome! Running is our happy hour! 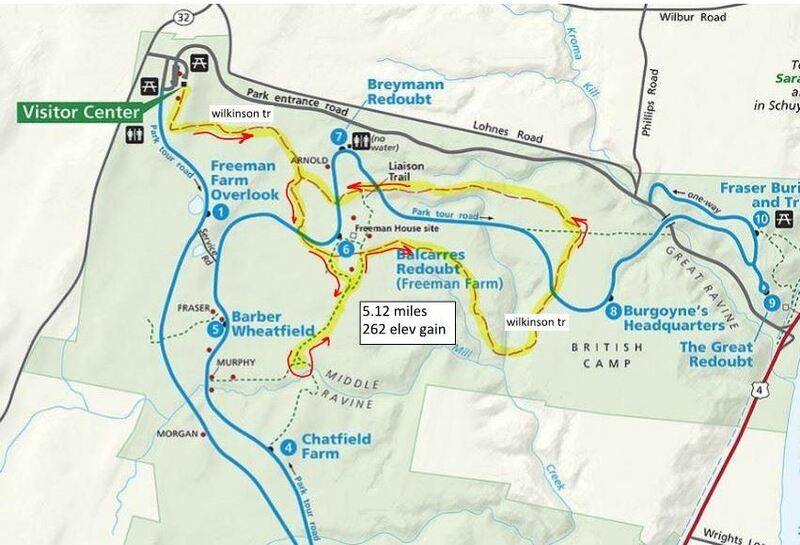 This trail run offers some double and single track running as we head up the carriage road and peel off to do the Here to There loop, then loop back around on the carriage road. This run is a perfect meld of easy to more difficult technical trails with rock and roots that offer some wetland views along with 360 feet of elevation gain in about 4.6 miles of trail. We will meet at the parking area where Clinton Street intersects Daniels Road. Please arrive 15 minutes early, at 6:00 pm if possible, to allow for warming up. The run starts promptly at 6:15 pm. Here is the daniels road trail map-1.pdf. And here is a link to create directions. Cranking it up a notch, this trail offers more difficult and awesome fun single track running. We’ll start at the Lake Bonita trail head parking area and head down elevation to Lake Bonita, then around to the lavender trail to Lake Ann. This trail is relatively new with some peat underfoot. Past the lean-to, we’ll loop on to the brand-new red cardinal trail, that takes us around some serious rock formations with broken views through the trees to the east. On the blue trail, we’ll head to the Hudson river lookout point to stop for a moment and then back up the hill and return on the lavender trail as we came in. If your heart rate is not 165 bpm plus in the first half mile, you’re not running! We’ll start out on the west ridge yellow trail with a short and relatively flat warm up, then it’s straight up for a half mile or so. 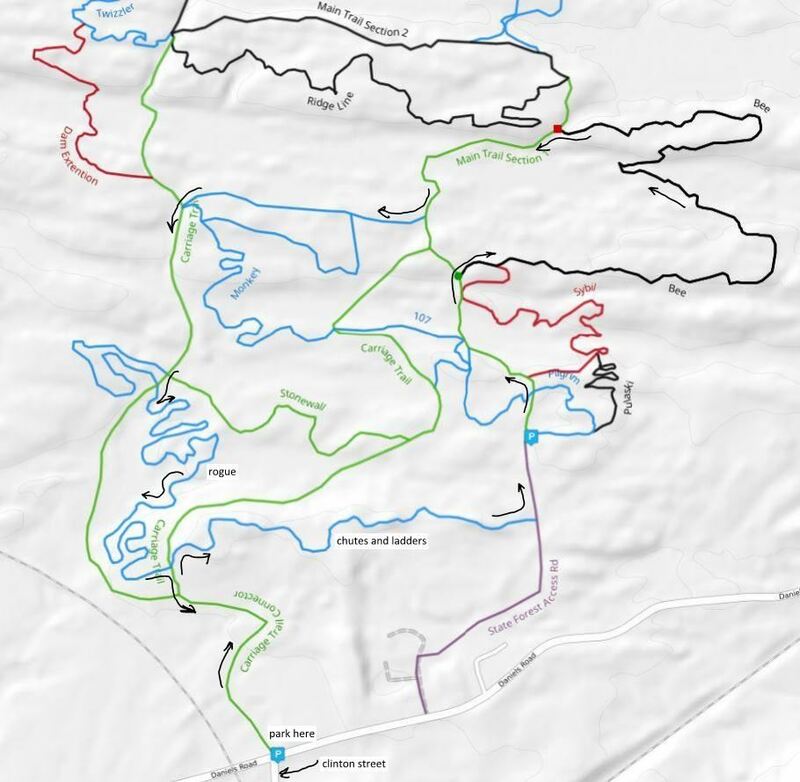 We’ll continue on WR trail past intersections 10 and 6, then peel off on the orange cottage park (CP) trail at intersections 17 as we continue up and down, then to the white connector trail, then to the blue East Ridge (ER) trail, then to the Ridge Run (RR) trail to stop at the overlook. From there, we’ll continue on RR to the green baker (BK) trail and its downhill back the parking lot. Lots of rocks and roots here, giving us some of the most technical trail running in the area. Where: Spier Falls/ Moreau “Saddle” Trailhead, 190 Spier Falls Road, Gansevoort, NY 12831. (This parking area is back off the road – enter drive and cross under the power lines). Here is the Google map for directions. and meet at the Visitor Center parking lot. This is a great run that offers views of the Hudson River that can only be seen from these trails. In parts you are running over wooden foot bridges, past old cemeteries, and views of the Hudson. The trail is not technical, with some ups and downs but not real steep. 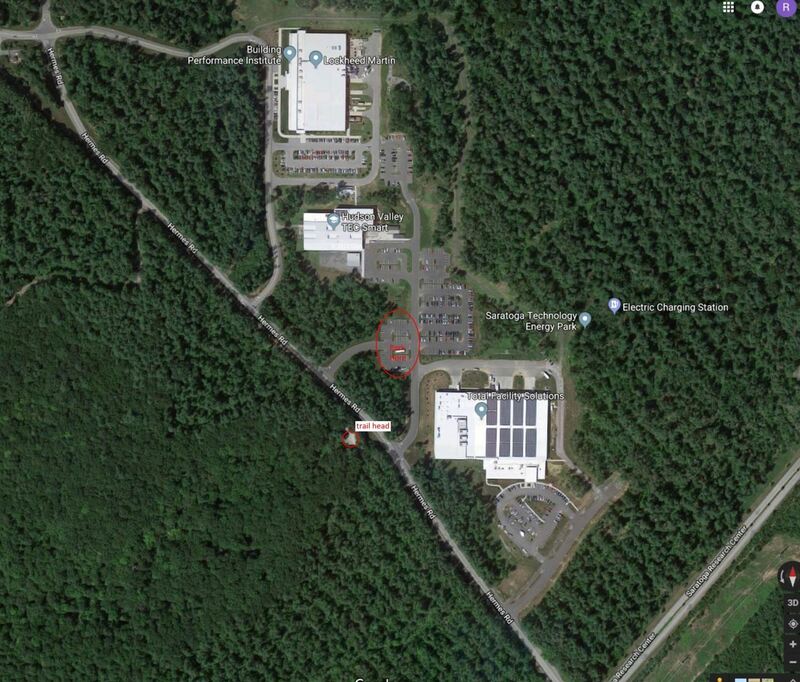 For those coming from the south, at exit 18 turn left (west), Division street is 1.16 miles on the left (just past Papa's diner), go to the end and through the gate to park. Daniels Road has some of the best trails here in the forest - the Chutes and Ladders, Bee and Rogue trails! We’ll start out at the Daniels road parking lot with a short spurt to the Chutes and Ladders trail where we will be traversing up and down some significant rock formations, then to the Bee trail for more of the same, then some easier running over to the Rogue trail where we will wind our way around and around (almost ridiculously) back to the carriage trail leading to the place of beginning. 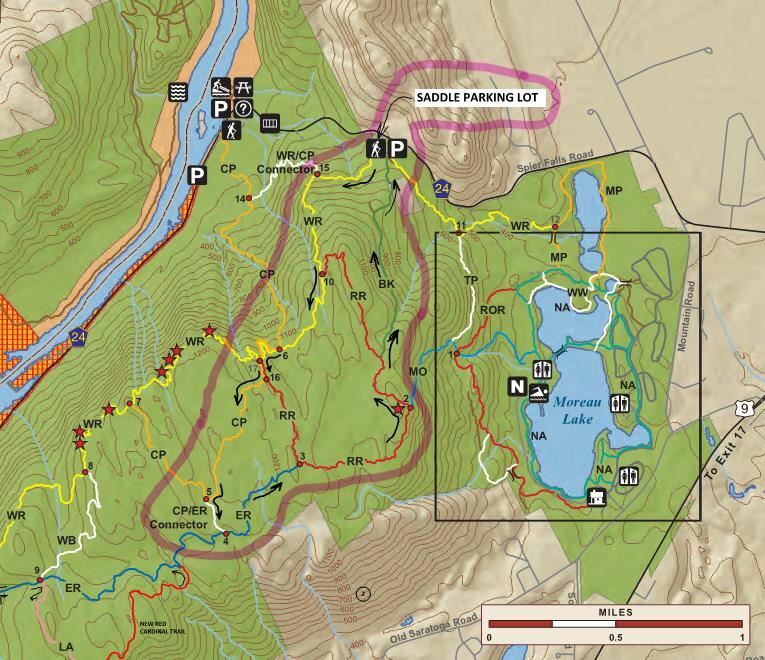 Here is a description of the trail, which is maintained by the Saratoga Mountain Bike Association: Daniels Road Trail. Parking is limited so please arrive early and carpool if possible. 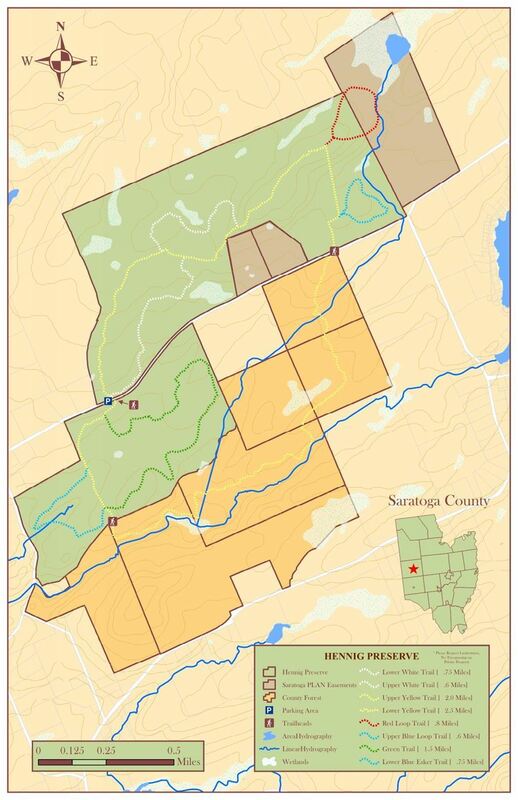 The Hennig preserve is part of Saratoga PLAN’s largest nature preserve with 600 acres of conserved land that was donated by the Hennig family in 2010. It offers native forest and wetland flora/fauna and some easy running with softer ground underfoot. 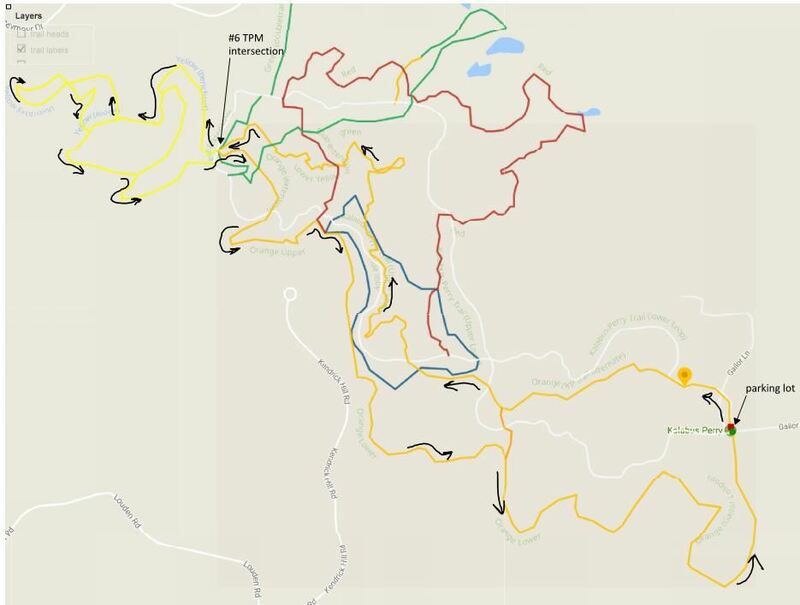 We'll run the yellow, red and blue loops to get near to 6 miles. Where: 126-146 center Line Road, Middle Grove, NY 12850. We’ll meet at the kiosk/parking area shown on the map. Click here for directions. Some easier, mostly double track, running here through the woods with ups and downs. We’ll work on getting 5 or so miles here with up to 600’ of elevation gain. If you know these woods, come join us and be a trail lead! Let’s meet at the parking area at the end of North Broadway where the trail kiosk is. 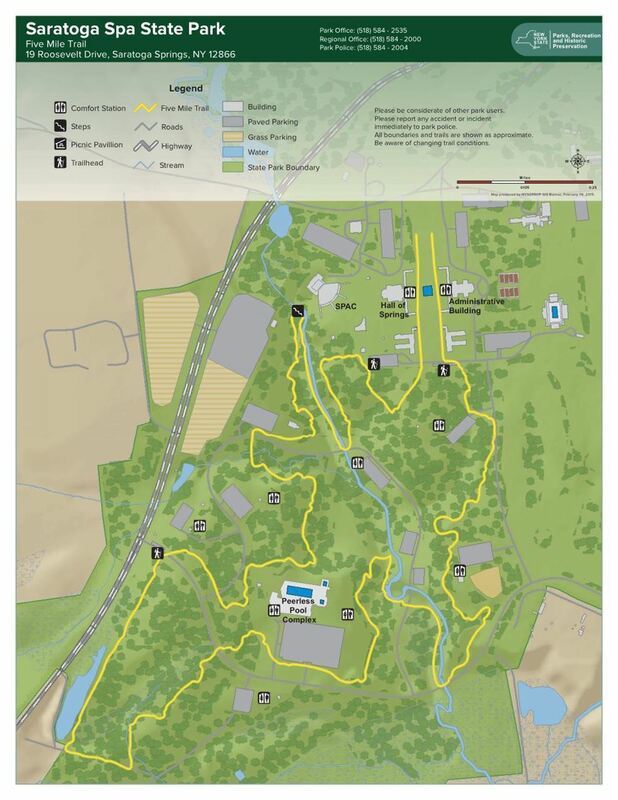 Tonight we’re back at Saratoga Spa State Park to run the Five Mile Trail. If you have never run this trail before, it is a broad mixture of trail surfaces that even includes a stair workout! Where: We will meet at Stryder bench on the field, the same place the Wednesday night workouts are held. 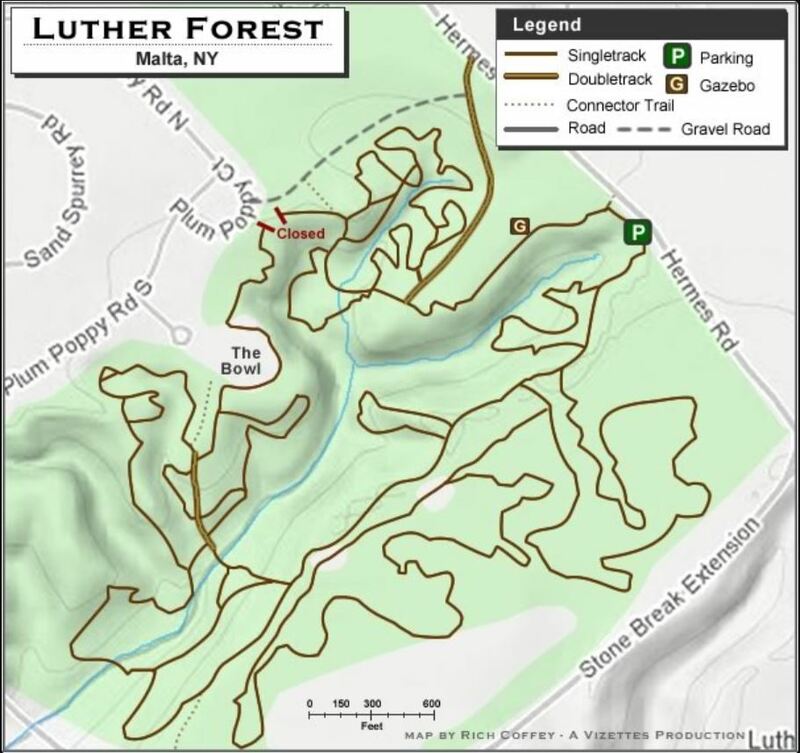 The KP trail system is part of the Saratoga County Trails Initiative that offers some forested single track running with many switchbacks. We’ll start at the large parking lot at the end of Gailor Lane and take the orange trail with a short jaunt on the yellow trail to get some elevation gain. We’ll need to stay together as there are many intersections, especially at the #6 junction that Laura Clark describes as the Tibetan Prayer Monument (TPM) where there are multiple color trails and flagging ribbons that decorate the forest. This is an approximate location. We will meet at the very end of Gailor Lane at the large parking area. Please join us for the annual Stryders Summer Picnic from 1-5 p.m. Sunday, July 21 at the MWR Community Recreation Center, 3569 Galway Road in Ballston Spa. The club provides meat for the grill, buns and drinks (beer, wine and soft drinks) and we ask attendees bring a dish to share. Please feel free to bring anything special (food or drink) you’d like for yourself, your family or others. The MWR Community Recreation Center also features a playground and fields we can use so you can also bring your favorite outdoor game. Family and friends are welcome. No pets please. The facility features a covered pavilion so we are a GO rain or shine. Grilling starts around 2 p.m. - hope to see you there. This time we’ll head a little further south to cruise the LFTP trails. These trail are twisty as they are used mostly by mountain bikers. Like the KP trails, we will need to stay close together because of the many intersections. Coach Couch, Rick Potts and myself will be the trail leads. We will meet at the HVCC Tech Smart parking lot nearest the entrance to the campus.